Advances in nanotechnology are being applied in the development of novel therapeutics that may address several shortcomings of conventional small molecule drugs and may facilitate the realization of personalized medicine. Interestingly, nanoparticle drug candidates often represent multiplexed formulations (e.g. drug, targeting moiety, and nanoparticle scaffold material). By tailoring the chemistry and identity of variable nanoparticle constituents, it is possible to achieve targeted delivery, decreased side effects, and prepare formulations of unstable (e.g. siRNA) and/or highly toxic drugs. With these benefits arise new challenges in all aspects of regulated drug development and testing. In this review, we provide an up to date snapshot of silver nanomedicines either currently approved by the FDA or other regulatory bodies. Keywords: Nanoscale devices, biological synthesis, regulatory bodies, silver nanoparticles, wound dressing, nanomedicine. Keywords:Nanoscale devices, biological synthesis, regulatory bodies, silver nanoparticles, wound dressing, nanomedicine. Abstract:Advances in nanotechnology are being applied in the development of novel therapeutics that may address several shortcomings of conventional small molecule drugs and may facilitate the realization of personalized medicine. Interestingly, nanoparticle drug candidates often represent multiplexed formulations (e.g. drug, targeting moiety, and nanoparticle scaffold material). By tailoring the chemistry and identity of variable nanoparticle constituents, it is possible to achieve targeted delivery, decreased side effects, and prepare formulations of unstable (e.g. siRNA) and/or highly toxic drugs. 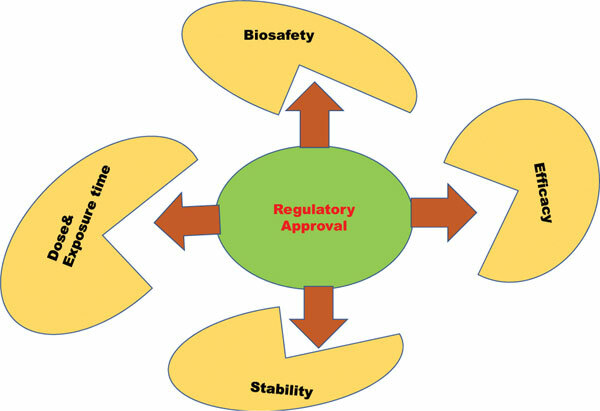 With these benefits arise new challenges in all aspects of regulated drug development and testing. In this review, we provide an up to date snapshot of silver nanomedicines either currently approved by the FDA or other regulatory bodies.